The new Mercedes–Benz GLC SUV is the kind of vehicle that optimizes every mile you drive. It has the strength and size that Plano drivers want in a utility vehicle. However, it also offers the style, features, and attention-to-detail that motorists expect from Mercedes-Benz. It’s really no surprise that Motor Trend named the GLC the 2017 SUV of the Year. If you’re ready to explore this exciting model in person, head to Mercedes-Benz of Plano to explore this exceptional SUV in depth. The new Mercedes-Benz GLC SUV is the kind of vehicle that makes you do a double take. 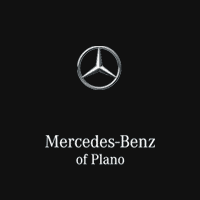 After you compare popular Mercedes-Benz SUVs like the GLA vs. GLC, get a closer look at Mercedes-Benz of Plano, and take advantage of our simple financing. Please contact us with any and all of your questions before coming in for a test drive.